These pajamas that come in several colors are very popular. This fuzzy pullover is 35% off. This popular tunic blouse is 40% off. This sweater dress is only $16. These burgundy pants are only $16 - and would be great for a party! This is my favorite turtleneck top to where under jackets and sweaters. These are fun leopard loafers. This Nike hoodie is only $34! These cute leopard rain boots are only $20. This faux fur vest is $20. This cardigan is on sale for $25. I love this cable knit sweater! These leopard booties are 50% off. This cozy sweater dress is on sale for under $50. That black lace blouse is so pretty and elegant! I am also dying over that green skirt - gorgeous color! Terrific party outfits! 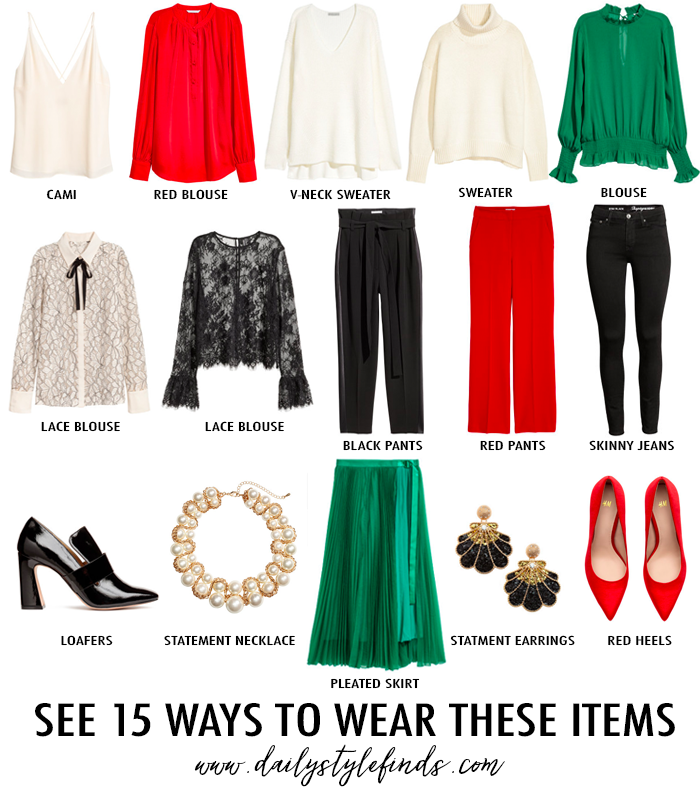 Those red pants are killer and would make such a great statement at a holiday party!